We are in the midst of a great realignment – a series of connected and converging revolutions in technology, economics, ecology, energy, geopolitics and culture that mark the end of one global era and the beginning of another. The world is rebalancing. 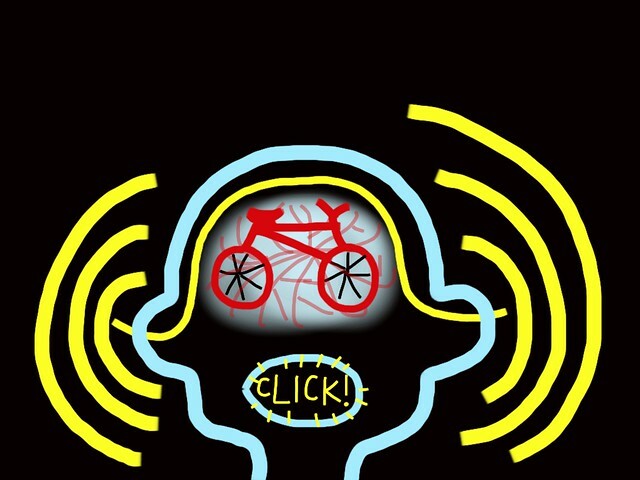 Today is the start of the PopTech Conference in Camden, Maine. This is definitely our favorite event of the year. 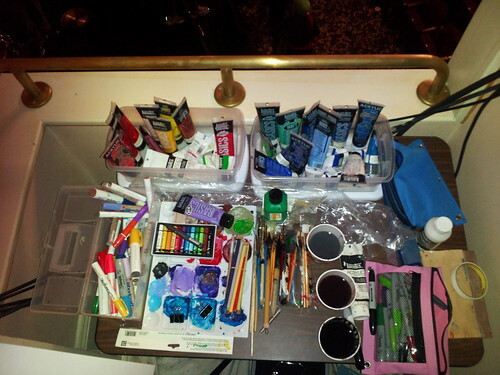 Since 2004, Peter Durand has had the privilege of creating images for each presenter from a mobile paint studio housed in the skybox of the 19th century Camden Opera House. Through her painterly iPad art, she will document the young innovators in the Science & Public Leadership Fellows and Social Innovation Fellows. 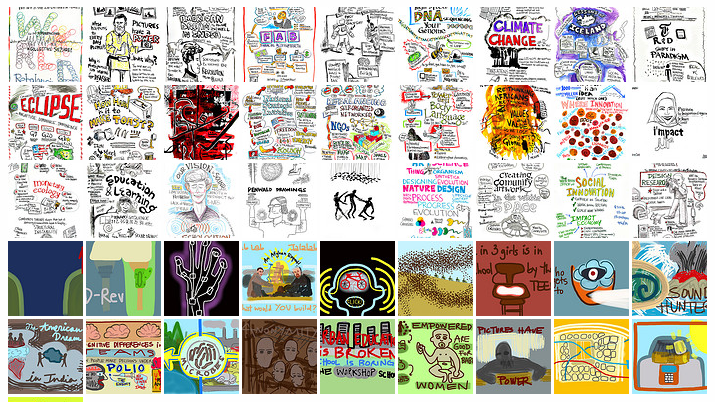 If you are interested, we created an electronic sketchbook of the 2010 artwork and presenters, free to download here. 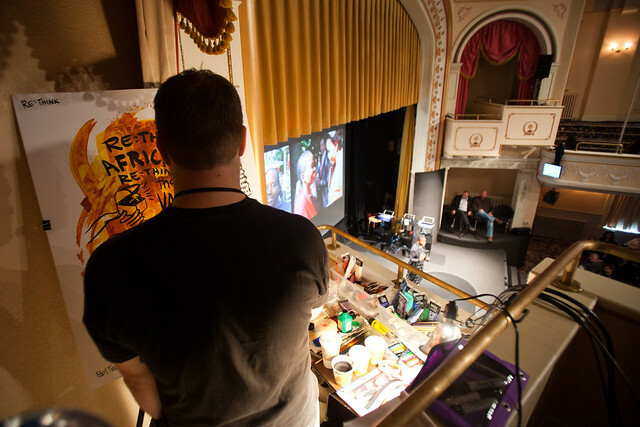 Perrin Ireland is onsite creating iPad art for each Fellow's presentations for the PopTech blog. Here is a first for us... scribing for a president! It's not every day that a president comes to Maine. 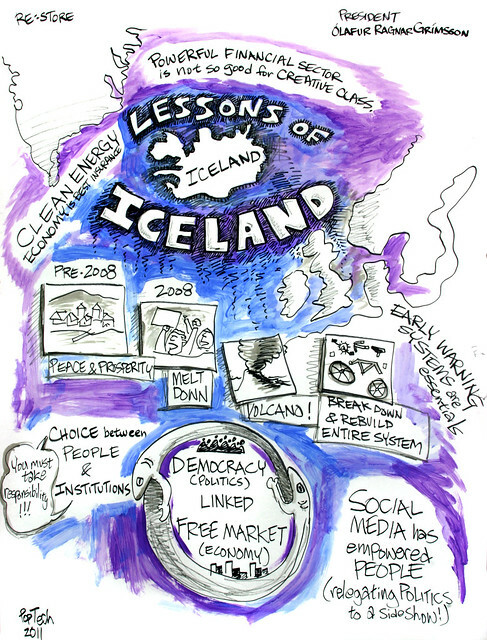 Ólafur Grímsson, Iceland's fifth and current president, gave a much-anticipated talk on Iceland's challenges since its economic collapse in October of 2008. Shortly thereafter, two consecutive volcano eruptions stalled international air traffic, spewed tons of ash into the air and generally wrought additional mayhem to an already belabored country. "Despite all our technological innovation," says Grímsson, "we learned we are not masters of our universe." It was an honor and a relief to hear a world leader speak candidly about these issues. We will work to create a similar eBook for 2011 as soon as our joints recover! If you are interested in receiving word once we complete the book, sign up on our email list.